My youngest recently found some little Australian animal figures tucked away somewhere and snakes became an immediate favorite in our house. So we’ve been looking at pictures, reading books, and learning a bit about them. It was a good opportunity to discuss the natural habitats of animals and how we should respect them, so we did this simple activity. We filled a muffin tray with objects that might be in a snake’s environment: rocks, sticks, leaves, sand, dirt, and water. Then we talked about what snakes might need to eat, and luckily we had some little bunnies to use. I asked my son what would happen if someone came by and dumped trash, or poisoned the water, or got rid of all the snake’s food. Of course he was very adverse to the idea. We discussed the importance of keeping the water and land clean and free of waste so that the animals can live safely. One practical way we can help the animals and their habitats is by making sure we don’t litter and serving the community by picking up trash when we see it in nature. Very simple, but quite effective for a four-year-old to set the stage for environmental awareness. 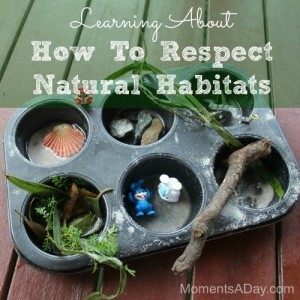 Have you discussed respecting natural habitats with your kids? What subjects came up? For many more activities that explore caring for animals, check out this post. Great idea & thanks so much for adding it to the outdoor play party. 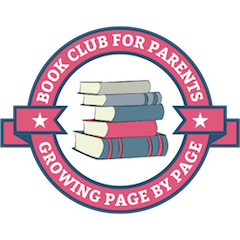 Thanks Kierna I was excited to find the lovely outdoor link up, so many great ideas! I love the way you integrated caring and stewardship with learning and critical thinking– I’m sure all without your little guy even knowing it. I also love how easy the activity is to do and how you can change it to fit so many different lessons! Thanks for the post. Thanks for commenting Rebecca! Learning is such a natural process and so simple at times – I sometimes “over-complicate” things so it’s great when everything comes together so simply. 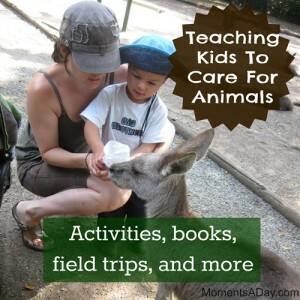 I’m working on a post about Teaching Kids to Care for Animals. I like what you have written and I am planning on linking back to it! Great post! Thanks Catherine I would love to read your post when it’s up! Thanks for sharing! A fun and practical way to learn, love the idea. Love this idea. I really enjoy teaching my kids about nature. I would love for you to link up at Artsy Play Wednesday. 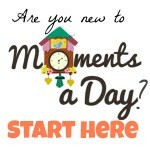 Thanks Kristen it’s great to find out about your link-up!